This is my last piece on Heraklion, the administrative capital of Crete. You have probably already read The Palace of Knossos and the Archaeological Museum of Heraklion and Where to eat in Heraklion? All you need to know more is what else there is to do and where to be based to do all this stuff. Enjoy! For most tourists Heraklion is a mere transit point. 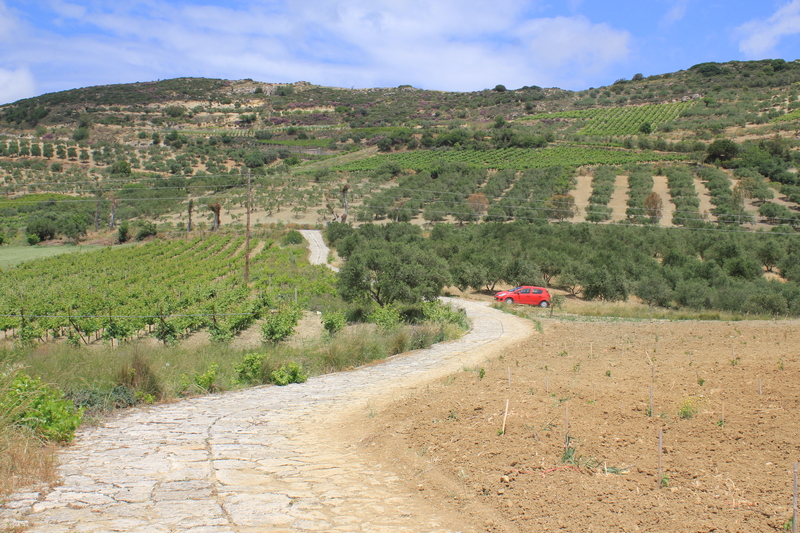 Others may drive through it on the way to the famous ruins of Knossos. We stayed two nights in this city and loved it! Let me show you why I liked it so much. First impressions of Heraklion: Heraklion was not as polluted, full of traffic and noisy as I had expected. But I think we had a nice impression of the city also because we spent a lot of time by the harbour where it is more quiet. This is also where we ate in the evening (Where to eat in Heraklion?). Moreover, I have never been to Beirut (shame on me) but Heraklion looked like what I imagine Beirut to look like (except that Beirut has taller buildings and it is much bigger). 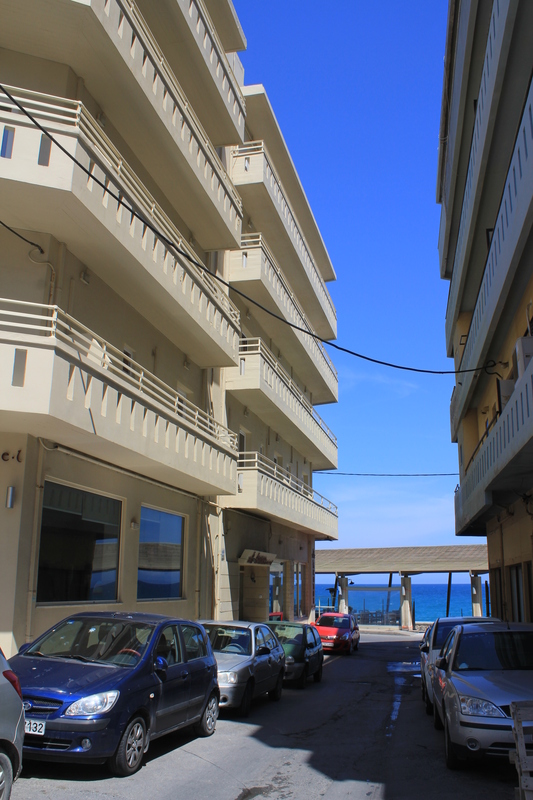 There was also something in the architecture of the balconies that reminded me of Algiers… I was definitely in a Mediterranean city but Heraklion was not like any other city I had been to before and it was exciting. Fancy a hotel by the sea? We stayed at the Kronos Hotel (http://www.kronoshotel.gr/), located right in front of the sea and a few steps away from the Old Harbour, which is also where the main street called 25 Avgoustou begins. In front of the hotel there are free parking places. The rooms are simple yet very clean, and come with a balcony either facing the sea or the city (we could see the snow-covered mountains in the horizon!). Everything was renovated in 2011. The reception area is lovely; big glass windows all over proudly present the Mediterranean to hotel’s guests. The staff are very friendly and helpful (it is a family-owned hotel). We payed 55€ per night (excluding breakfast which costs 5€) and felt the price was correct. What else to do besides Knossos and the Archeological Museum? We stayed two nights in Heraklion. The first day we visited Knossos in the morning (it took us about two hours) and afterwards the Iraklio Wine Country, recommended by Lonely Planet Crete (2012). It was a pleasant drive even if we did not stop at any of the wineries. From what I have heard, there are some excellent wineries in this region and what I tasted at restaurants only confirmed this. 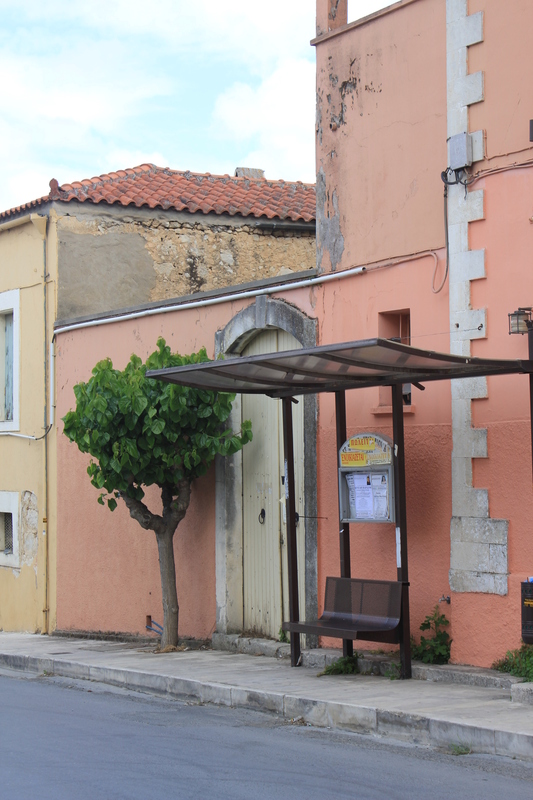 In addition to wineries one can visit many historical sites. Unfortunately there were some works so the road was partially blocked and we did not find Fourni and Anemospilia Temple. However, even if it was not our case, I can easily imagine one spending an entire day driving around the region. It started raining quite heavily in the end of our wine region tour. We did not want yet to return to the hotel, so we thought to drive to Malia (see, all this you can do in one day if you wake up early!). Malia is an other important archaeological site and very close to Heraklion but we did not reach it by the closing time (3am also during the off-season). We drove back to Heraklion via some resort areas (Hersonisos etc.) and all I can say is: do not stay here. 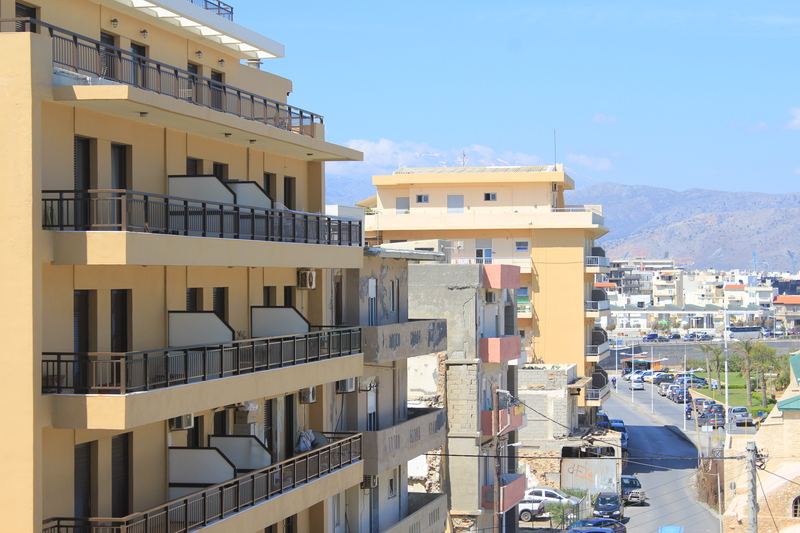 It was all about mass tourism and the least interesting part of Crete I saw during nine days. On our second day we visited the Museum and walked around the old town of Heraklion. During the Second World War the city got badly bombed but several beautiful Venetian houses remain. And there are many cafes. Many! 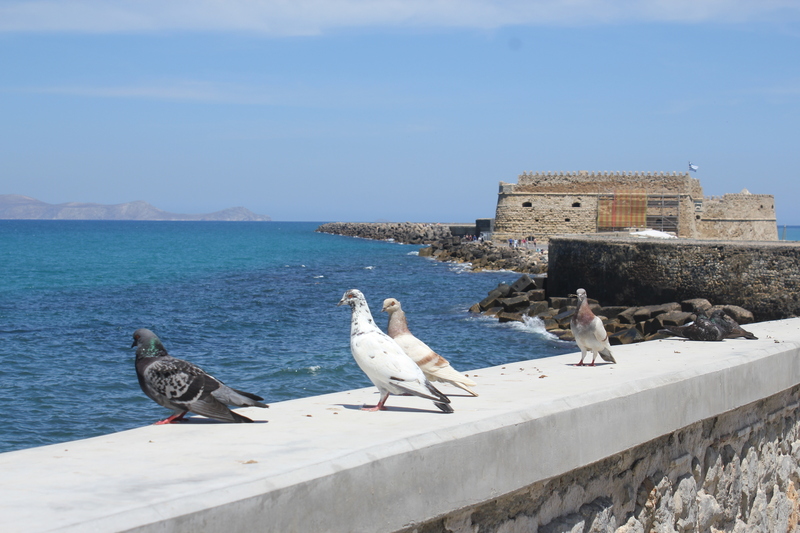 In the early afternoon we left Heraklion for Rethymnon, very pleased with this brief but rewarding stay in Heraklion. This entry was posted in Uncategorized and tagged architecture, Crete, food, Greece, hotel, wine on May 24, 2013 by Miia.